After Eurydice’s stalker allegation, I gave it another two months (I figured this showed dedication, but fell safely outside the stalker criteria), and wrote again. Many years ago, I saw the film Basquiat. 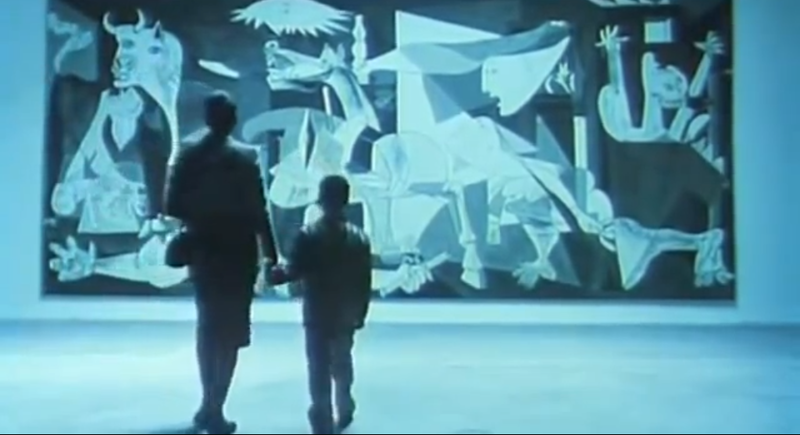 A biopic about the painter Jean-Michel Basquiat, it begins with the young Jean-Michel being taken to the Museum of Modern Art by his mother to see Picasso’s famous painting, Guernica. I remember the shot of him standing in front of the immensity of the canvas, staring up at it with a little paper crown on his head. I don’t know why, but that image has always been fixed in my mind. I was thinking of it when we went to the art gallery on our last day together. 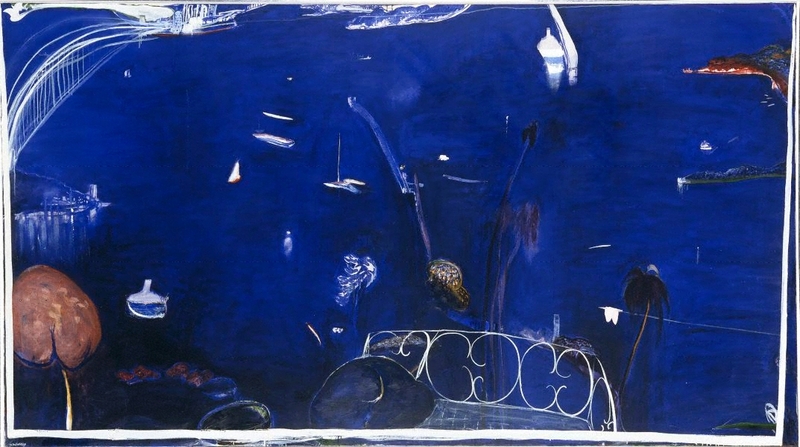 I photographed you in front of that Brett Whiteley painting. I was going for the Basquiat image of the little king, but the Whiteley gave it something extra. That immense expanse of cerulean blue is something that only the human eye could lift up from the ocean of the human heart. 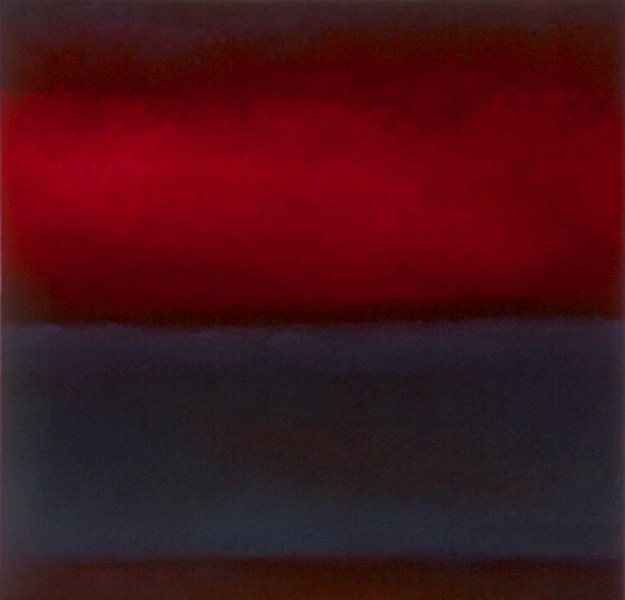 As I understand, that usage of colour is most commonly attributed to Mark Rothko. He painted enormous canvases of one colour, or sometimes a colour that graded from one tone to another along its length. The idea was that if you stood close enough, that colour would fill your field of vision and you would become saturated in a ‘pure’ emotional sensation. I discovered, while wondering around the Tate Modern Gallery in London that the true progenitor of that idea was, in fact, Claude Monet. 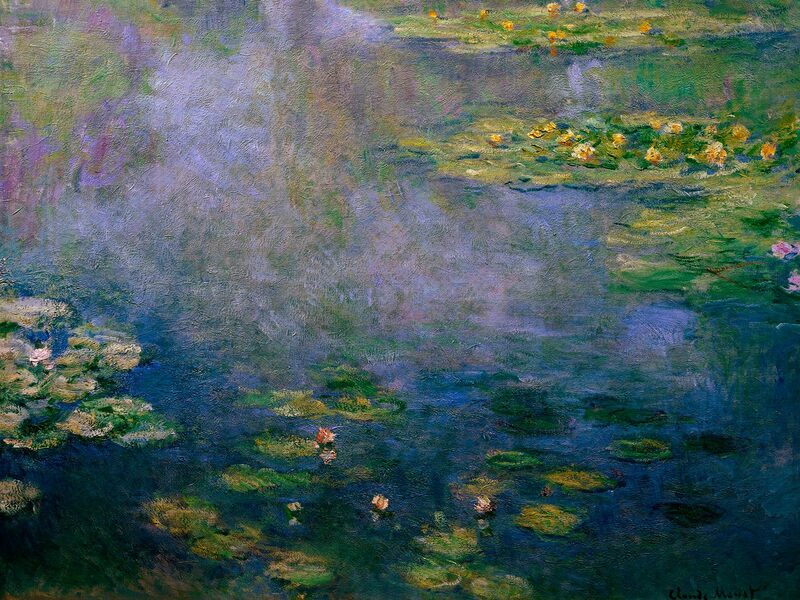 His Water Lilies are designed so that if you stare long enough, the objects themselves disappear and you are left with the overwhelming resonance of the colour itself. The best example, and probably the greatest realization of Monet’s project is held at the Musee de l’Orangerie in Paris. There are two oval-shaped rooms which were purpose-built to hold eight murals, displaying the lilies as Monet intended. The idea is that you can stand in the center and have your entire field of vision filled with them, no matter which way you turn. As I remember, your birthday is on ______. 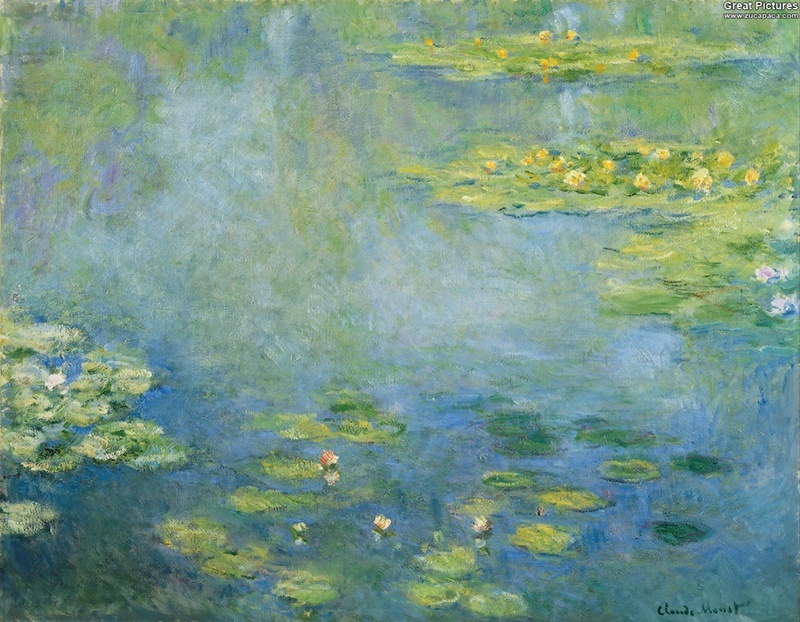 I would like to fly you to Paris – from wherever you are in the world – to see Monet’s Lilies at the Musee de l’Orangerie. Afterwards, I will fly you back to where you came from, or wherever you want to go. Or, if you want to, you can stay with me. Since that day in front of the Whiteley, I have been utterly saturated. I am worthy, and you are definitely worth it. The letter, and my offer, was met with resounding silence. This entry was posted on December 2, 2014 at 10:20 am and is filed under Acts of devotion, Love letters, Observation, Real Men with tags Albert Ellis, Bob Marley, Claude Monet, Eurydice, Guernica, Jean-Michel Basquiat, Mark Rothko, Musee de l'Orangerie, Paris, Picasso, Tate Modern Gallery, Water Lilies. You can follow any responses to this entry through the RSS 2.0 feed. You can leave a response, or trackback from your own site.